Flood Damage Claims for Warehouses and Industrial Property | The Voss Law Firm, P.C. Flooding can disrupt any business’ daily operations, but damage to a warehouse can cause significant losses and interruption to the supply chain. Owners may be unable to fill orders, manufacture goods, or process sales until extensive repairs have been completed—and commercial insurance may not be enough to cover the full extent of the damage. 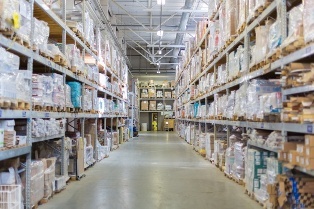 Attorney Bill Voss examines the unique needs of warehouse owners, including how they can fill coverage gaps and take steps to minimize flood losses. Flooding due to rainwater, hurricanes, and storm surge is especially common in certain areas of Texas. However, most private insurers will not cover flood damage from a natural disaster. It is vital that business owners secure a separate policy through the National Flood Insurance Program (NFIP) to cover weather-related flooding. Another necessary step in preventing flooding losses is to take as many safety precautions as possible before an adverse even occurs. Fitting drainage pipes with non-return valves, installing water-tight seals on doors and ventilation spaces, and performing proactive maintenance can help keep the interior of the warehouse dry. Not only can these measures prevent inventory losses, but they could also lower your premiums. Structural damage. Warehouses are often constructed with long walls and aluminum doors that may buckle under the weight of floodwaters. If concrete floors are not sealed properly, water may pool in access areas and cause damage to heating, ventilation and air conditioning (HVAC) systems. Both wooden and metal structural components may be damaged by flood waters, with mold and rust eating away at the structural integrity. Cleanup costs. Floodwaters are usually contaminated, and may require special hazardous waste removal teams to pump out water and remove debris. Due to the vast expanse of some warehouses, it may take days or even weeks of running industrial fans before all wet spots are dry. Lost inventory. Water is a threat to anything that can be stored in a warehouse, especially electrical, paper, and comestible inventory. Millions of items may have to be discarded for health and safety reasons, while any flooding to office spaces can result in the loss of schedules, orders, receipts, sales records, and other documents. Electrical damage. Flooding can permanently damage electrical systems, computers, lighting, and other specialty electronic equipment. Damage to electronic doors can make it impossible to load trailers and trucks until the docks have been repaired, while whole sections of the warehouse may need to be rewired for safety. Heavy equipment losses. Forklifts, golf carts, scissor lifts, and other loading and transport vehicles at your warehouse may be beyond repair due to water damage. Commercial owners can minimize these losses by storing equipment on elevated loading bays and adding a business machinery extension to their property insurance specifically naming flooding as a covered peril. Looting and theft. Flooding may affect an owners ability to reach the site for several days, during which time security systems may be inoperable. If video surveillance, door locks, and alarm systems have been compromised, warehouses may be stripped of whatever intact inventory remained. Code upgrade coverage. If portions of the warehouse need to be completely reconstructed, owners will have to adhere to current building codes. Ordinance and law coverage can pay for plumbing and electrical upgrades, new building regulations, and the increased cost of construction or demolition. Business continuity. You may need to suspend operations until repairs can be made and the property is safe for occupancy. With business interruption coverage, you can recoup the costs of any lost business income, transferring inventory and equipment to a secondary location, and any extra expenses incurred during rebuilding. Total loss property damage. Unfortunately, flooding may be so extensive that it is less expensive for the owner to shut down operations than it is to make repairs. Total loss coverage can compensate owners if the whole structure and inventory are destroyed, allowing owners to move on and rebuild from the ground up. If you are having trouble getting the flood insurance coverage you paid for, the Voss Law Firm can help. Simply fill out the form on this page to get your questions answered by an insurance attorney, or learn more about filing a claim in our book, Commercial Property Owners Must Read This BEFORE Filing an Insurance Claim.